Almost immediately after I delivered my first-born baby boy, a hush shrouded the delivery room. Medical professionals silently and somberly glanced at each other without a sound. Jason’s skin, a dusky grey color, unmistakably revealed his immediate need for oxygen. Instead of caressing my little human wonder right after birth, the doctor ordered him to be rushed to the newborn nursery. I wanted to think positively about everything, but how could I? There was too much going on. Initially, I felt worried and afraid for my baby. I later developed the effective key to coping with his serious illness in a self-created mantra: think positive, stay calm and breathe. Without being able to immediately hold Jason, I started telling myself horrific lies. My (now -ex) husband just didn’t get how upset I felt. After all, he wasn’t thinking like a woman, since he was a man. The lies I made up about what would happen to Jase led to me jumping to unhelpful emotional conclusions based in worry and fear. But all the worry in the world would never help him or me through the unknown challenges that lay ahead of us. I look back now at how I reacted emotionally first instead of responding with a more positive attitude. Due to my own experience, if you are pregnant now, I encourage you to start learning and using natural stress management techniques. Do it before delivering your baby. Or, if you already delivered your baby and got unwanted health news, stress management may just save your life. The following are some effective stress reduction techniques that I still use today anytime I may inadvertently trigger sad feelings about being without Jason now. Remember to think positive before allowing your emotions to overwhelm you. My first marriage eventually dissolved; that can happen when your child’s condition is severe. This left me being the main provider for a terminally ill child — talk about stress! At the time of Jason’s birth, I worked at a local drug store as a pharmacy technician, but I couldn’t financially support myself — or pay Jason’s medical bills — on that income. I had to figure out how to keep going forward for Jason’s and my survival. A childhood friend home on leave from the US Air Force came and visited me. She recommended that I enlist. Luckily, I listened. Again, that mantra “think positive” helped me and Jason keep moving forward. I am very grateful for enlisting in the military. They gave Jason excellent medical care. It is there that the chief of pediatrics at Andrews AFB correctly diagnosed Jason with a rare birth disorder called Marfan Syndrome. Current statistics reveal that this very hard to diagnose and incurable illness afflicts 1 in 5,000 people. Those who do not know they have the disorder can drop dead without notice from a hidden aortic aneurysm. Typically, the Marfan’s person is unnaturally tall, thin and suffers from a collagen deficiency. Sadly, if you discover too late that your child was born with Marfan Syndrome, and he or she actively plays sports, that activity can be a silent killer. Another benefit of being in the military turned out to be good for my family life, as that is where I met my second husband. He adopted my little boy even though he knew Jason would probably not live long. If your child develops or comes into this world with a serious, life-threatening illness, you also may consider hiring hospice for help. Hospice employs compassionate, caring listeners. 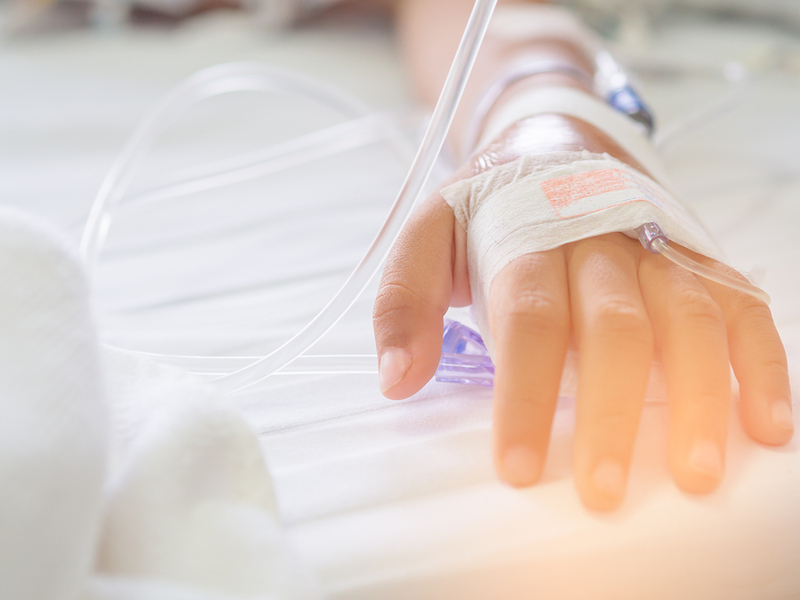 If you need help managing your child’s end of life process and the grief of losing him or her, consider connecting with hospice here in the Cleveland/Akron area. To learn about how hospice can help, click here. Most of all, I encourage you to find faith in your abilities to muster up the courage you need to be there for your child. When it comes time to make important decisions, my husband and I focused on making improved quality of life be the forefront. Did it make the decision easier? Yes. Did it extend Jason’s life? I don’t know, but I know it did make things better for him. Previous article What is Stuttering and How is it Treated?